Usage ⇒ Use mint instead of the basil if you like, and use another shaped pasta if you have no fettuccine. Dough കുഴെച്ചതുമുതൽ, കുഴച്ചമാവ്, കുഴന്പുരൂപത്തിലുളള മാവ്, പണം, കുഴച്ച മാവ്‌, He poured a little water in the atta to make a dough / It is this technique that allows pastry doughs to rise and pie crusts to flake. Dumpling ഡംബ്ലിംഗ്, കൊഴുക്കട്ട, Both Chiao and Sharipov have requested a special take-out of dim sum dumplings and fried rice for their Christmas meal. Dumplings പറഞ്ഞല്ലോ, Both Chiao and Sharipov have requested a special take-out of dim sum dumplings and fried rice for their Christmas meal. 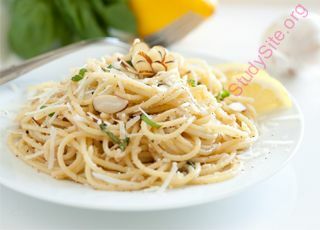 Spaghetti പരിപ്പുവട, ഒരുതരം ഇറ്റാലിയന്‍ പലഹാരം, Spaghetti is a very delicious food item / As an alternative, instead of using spaghetti , use pasta shells instead.